John O’Rourke (Sean), President and CEO of Coast-Line International Distributors, LTD since 1993, hails from County Galway, Ireland. 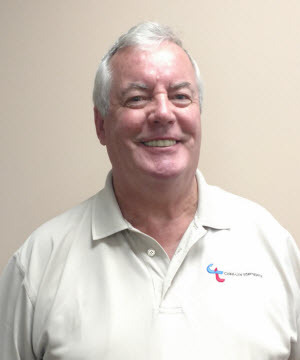 Sean joined Coast-Line as a young lad in 1974 as the Supervisor of Warehouse Operations. Sean quickly became familiar with the many products that Coast-Line had to offer. With this knowledge, he became successful in his new position as Inside Industrial Sales Representative. Later, Sean became Coast-Line’s top Sales Representative for both the Industrial and Aerospace Divisions. Through his untiring efforts, Sean became Sales Manager in 1983. In this capacity, he guided the efforts of both the aerospace and industrial salespeople as well as the inside sales force. Sean created a team – an atmosphere of comradeship and cooperation. His success was rewarded with the position of Vice-President in 1986. Sean took an active role in the overall direction that Coast-Line would take in the 21st Century. He laid the groundwork by adding to Coast-Line’s already extensive product lines and hiring additional salespeople to better serve our customers. Now as President and CEO, Sean has broadened the scope of Coast-Line’s presence in the United States as well as abroad. He opened 2 new warehouses: one in Berlin, MA and another in Atlanta, GA. Sean is still looking for ways to better serve our customers, which, as he states, is the reason Coast-Line is here. Sean insists that we have close relationships with all our customers; he is always available to speak directly with our customers. Scott Patton, Vice-President and Manager of the Atlanta warehouse since 1995, comes from New Orleans, LA and grew up in Pensacola FL. He attended the School of Architecture at the University of Florida, obtaining a Bachelor’s Degree is Building Construction in 1973. Now he makes his home in Atlanta GA. Needless to say, he is very familiar with the Southeast. Scott started with Coast-Line in 1979 as a salesman for the Southeast. He also successfully represented Coast-Line in the Midwest and has increased our presence there. As Coast-Line grew, the necessity for opening a warehouse in the Southeast became more apparent. Scott was instrumental in setting up the Atlanta facility in 1997. From a small hanger near Atlanta International Airport to a 15,000 square foot facility in the heart of Atlanta, Coast-Line has better been able to meet our customers’ deliveries more quickly, cheaply and effectively. 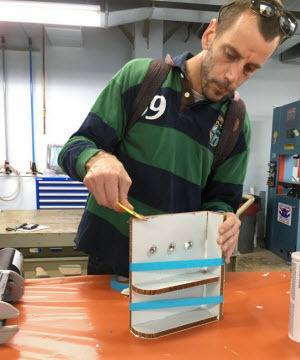 Whether you need a technical issue addressed or need suggestions on what materials to use in production, Scott is a fine representation of what Coast-Line is all about. A combonation of his technical abilities, managerial skills and sincere desire to help our customers with any problems they encounter provides the customer with the most practical answer. Gerry O’Brien was born and raised in Limerick City Ireland. He is a graduate of the Limerick Institute of Technology where he obtained a Bachelors of Science Degree in 1986.After Graduating College Gerry worked as a Programmer for Skynet Computer Systems in the U.K. In October 1988 Gerry moved to the New York area working for D.S.I. Industries as an Analyst Programmer in the Accounting Department. In 1991 Gerry Opened A Restaurant Chain with several locations in the New York area, with two Friends from High School. This Business is still very successful today although Gerry has since sold a major portion of his interest in 2004. Gerry joined Coast-line in February 2004. 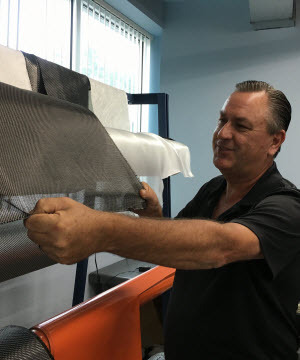 Gerry’s Sales Position Covers the Southeastern United States Specializing in the Composites sector for the Aerospace, Marine and Automotive Industries. Tom Schaub started with Coast-Line in 2007. As an outside Sales Representative his territory includes Maine, New Hampshire, Rhode Island, Virginia, West Virginia, Ohio, Kentucky, Indiana, Missouri and Arkansas. 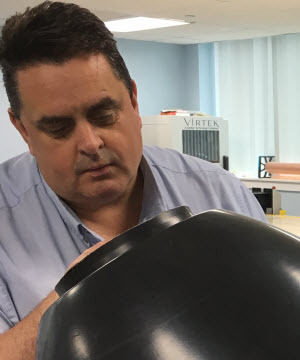 He provides technical support and training to a wide range of customers in the Composite Industry including Aerospace, Marine, Automotive, Recreational and Glass markets. 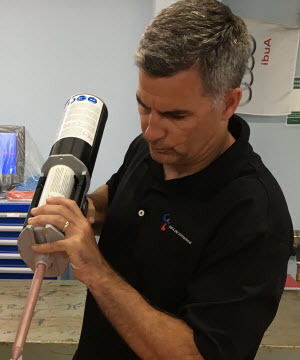 Tom can assist with selecting materials for various applications and processes including Prepreg/Autoclave, Oven Cure, Glass Laminating, Wet Lay-Up and Resin Infusion. When he is not on the road visiting customers, Tom’s works out of our main NY office/warehouse which allows him to interact with customer service and quotations department. Pat McMenamin was born and raised in Philadelphia PA. He went to College at Fordham University. 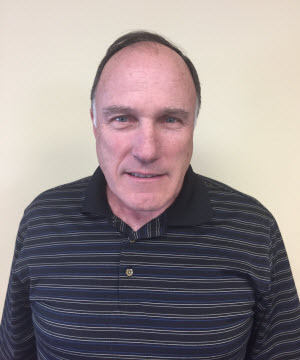 In July 2009 Pat started working for Coast-Line as an outside Sales Representative covering Pennsylvania, Delaware, New Jersey, Oklahoma and Connecticut. Pat resides just outside of Philadelphia PA, centrally located to his customer base.